Inter-tribal realtionship, it is good and does it work? What is an inter-tribal relationship? It's a relationship where two individuals from a different culture and different ethnic background are in love with themselves. The question is, is it good? Yes! Does it work? It depends. It depends on the fact that it takes two to make a marriage or relationship work and if the two involved are not like-minded, it could spell doom for one of them. There's a story of a man who fell in love with a wrong person, the man gave his heart and soul thinking he was on the same page with his lady, unfortunately, it was just for nothing. The lady initiated the relationship and tricked the man into asking her out without telling him of the phobia her people had for other tribes. They forbid their children dating or marrying someone from other tribes. Years went by and the man thought he was in the right relationship until he caught the lady going out with another man. He asked why she cheated and that was when she opened up that she tricked him into relationship because she was lonely and needed somebody at the time they met, she said she would have loved their relationship to work if not that her folks would cast her out of the family; her folks would never support it and she couldn't put up a resistance to this because they came from different tribes. However, this explanation didn't go down well with the man and he decided to approach the lady's family thinking the lady was lying. It was at this point the man had his worst nightmare, it turned out it was true because the family of the lady wanted to arrest him by telling him they'd tell police he used diabolical means to brainwash their daughter. This led to serious heartbreak for the man and felt he wasted so many years of his life with her that he wanted to commit suicide for love but something told him not to give up on life as that couldn't have meant the end of the world for him. 2. He may have experienced heartbreak from a lady from another tribe yet this didn't make him shut himself out of a possible inter-tribal relationship again as he later met someone who shared the same values about life, love and relationship with him. He met another lady from another tribe different from his own and they've been happily married for so many years(30 years to be precise) now. The truth is our differences in language, views, morals are things that make life so beautiful for us. Those things create harmony and dynamism which does not exist in regular same tribe or same culture's relationship. There would be nothing to learn or explore if everything and everyone in life had been the same. The inter-tribal relationship is GOOD AND AMAZING, but the two people involved must genuinely love themselves for it to work. One of the problems of inter-tribal relationship is the family or society. Some family forbid their children marrying from another tribe due to prejudice or sentiments. Some people passionately hate tribe that is not theirs, they can associate or relate with other tribes but can't live with them. While some family insist their children must fall in love with someone from their tribe so they may have children that speak their language alone. The thing here is LOVE KNOWS NO BORDER; love has no boundary and it can be found anywhere even outside of your geographical location. When two people fall in love irrespective of the language they speak, the harmony they create is always powerful and their bond is ALWAYS hard to break. This 21st century has seen a break away from the normal tribal sentiments which were the yardstick used in measuring a potential suitor in so many countries for so long. This tribal sentiment plagued the lives of people of those days and even some today, it has led many people into a detrimental relationship where there's no happiness just because their people want them to marry someone who speaks their language. The family people do not consider if their child finds happiness in a relationship or not, they don't care what happens to their child's personal life if the person they want them to marry is not the person who loves them. 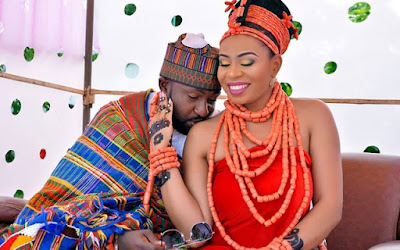 I know people who married from a different tribe and have been enjoying their marriage and relationship for many years, and I also know people who married from different tribe but not enjoying their marriage or relationship. What I am saying, in essence, is: If two people genuinely love themselves it doesn't matter the language they speak; they would work together, do things together and enjoy life together and not even remember they come from different tribes. PEOPLE ALWAYS CREATE THEIR OWN LANGUAGE THE MOMENT THEY FALL IN LOVE, THEIR MOTHER'S TONGUE DOESN'T HAVE TO BE THE ONLY THING THEY. My advice to the readers is never to limit themselves to any tribe in particular. Love can be found anywhere, but seek your God's guidance so you don't love the wrong person. INTER-TRIBAL RELATIONSHIP IS GOOD, SWEET, LOVELY AND POWERFUL BUT IT TAKES TWO TO TANGO SO YOU SHOULD BE SURE YOUR PARTNER WANTS YOU TOO BEFORE YOU GIVE IN TO IT. IT WORKS IF THE TWO PEOPLE IN LOVE DECIDE TO LOVE THEMSELVES AND MAKE IT WORK. May God give you happiness in your relationship today and beyond. Amen. Kindly drop your comments, questions and contributions in the comment section below. Warning: Don't go into an inter-tribal relationship with someone who doesn't want it, believe in it or ready to make it work. If you do, you would be the only person doing the work and the only one in love with yourself. It takes two to make it work so fall in love with the right person.